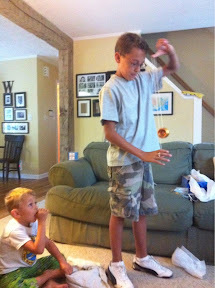 WingerBLOG: 20110826 - D is 12!!! 20110826 - D is 12!!! 20110826 - Up and D ready for school and got to open a couple of presents. He got a very fancy yo-yo that he can't put down. He was happy to get his stuff but was anxious to get to school as today is the Sixth Grade Adventure Day and they would get to do fun stuff at the pool all day long. J was off to school and L&G went out for stuff. I spent the day at the desk. 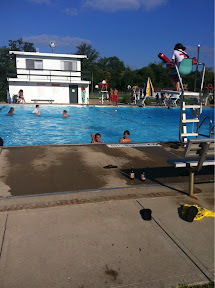 LJ&G home, my day done and we went to get D at the pool. 20110806 + Got my Boy Back!